May was a solid, if not stand-out reading month. Lots of books I liked or liked a lot, but none that clearly stood out above the rest. And, no 5 star reads. So, while I do have a favorite book of the month, it was a bit of a toss-up for that title. I spent the first few weeks of the month getting my 2018 Summer Reading List together and I’m so excited about all the books that made it on! And, just to explode your TBR a bit further, I shared My Most Anticipated Books of Summer 2018 last week. These books are coming out later this summer that I (mostly) haven’t read yet (compared to my Summer Reading List, where I’ve read every book on it). I read 8 books this month…and I fit audiobooks back into my life! I finally finished the new Tiger Woods biography, which is over 15 hours long…about 3 times the length of my normal audiobooks. And, I listened to one more (The Mockingbird Next Door). 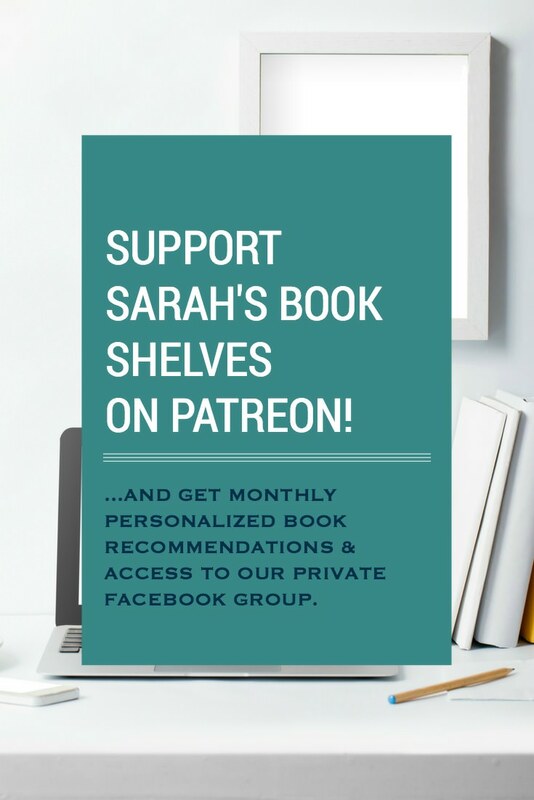 Personalized Book Recommendations and the Superstars Facebook Group are now available to anyone who supports Sarah’s Book Shelves on Patreon! If you’re interested in tracking these types of stats, my “Rock Your Reading” Tracker does all the heavy lifting for you! Enter your book details and it automatically compiles everything into Summary Charts in real time! Go here for more details. Social Creature by Tara Isabella Burton (June 5) – Already read & really liked! Visible Empire by Hannah Pittard (June 5) – Already read & really liked! 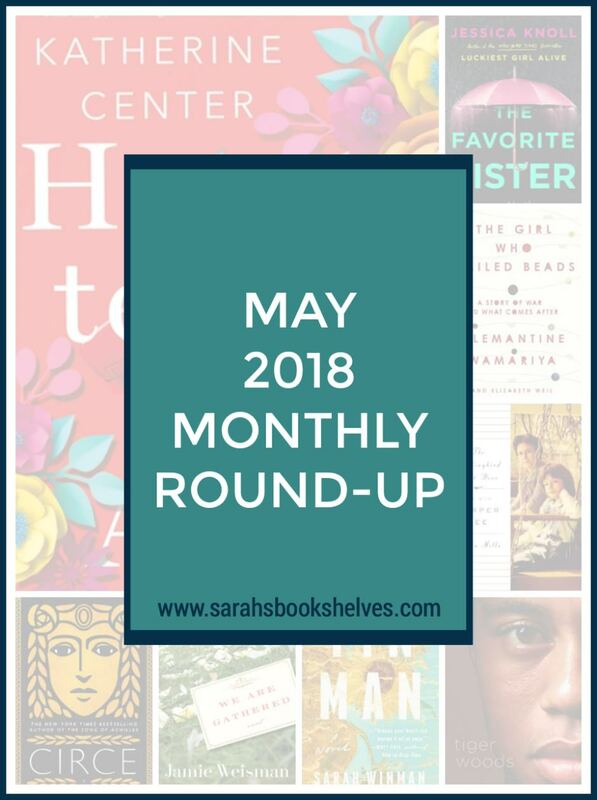 Book of the Month May 2018 Selections: What Book Should You Choose? The same as above…and that NEVER happens! Ann at Books on the Table talks celebrity book endorsements and shares some quotes from industry insiders that are sure to spark discussion in her post titled Reese Recommends It, You Read It. I rarely read feel-good books, but I often get recommendation requests for feel-good books! So, I’m glad to have Off the Shelf‘s list of 13 Feel Good Novels You’re Going to Love to refer to. Reading in Winter talks spoiler alerts and when they’re necessary (particularly related to comparing books)…and I have strong feelings about this! Rikki and Michaela at The Ardent Biblio shared the Books That Gave Them the Best Hangovers. Two of my favorite things together. Slow clap for Book Riot for their If the Men from The Bachelorette Were Books post! Let’s all hope this becomes a staple of every Bachelor franchise season! Clearly, I”m in the minority about The Favorite Sister. I just couldn’t get into it. I didn’t like The Luckiest Girl Alive either, so maybe it’s her writing style? Or that I don’t watch reality TV? I have Camille Pagan’s book in my iPad–it was a Kindle Daily Deal, so I’m glad to hear you liked it! As always, I enjoy your book reviews! I’m betting it’s b/c you don’t watch reality TV b/c I DNF’d Luckiest Girl Alive! I’m glad you liked Tin Man. I really liked that one, too. Happy June! Oh Lord…don’t remind me! That was a bad one! It took months and Heart’s Invisible Furies to get me out of it! Sarah, thanks for mentioning my post! Hope June is a great reading month for you.